Fruit purees have been often been replaced by imitation products and low standard fruit purees, some of which have been noticed and disallowed at the global level in recent years. Consumer anxieties regarding the origin of raw fruits have been a focal point, and consumers are willing to pay much more in order to get authentic products. Some of the manufacturers have responded to consumer demands by enhancing the traceability of products, by coding the product and generating traceability to particular farms across the globe. This has given rise to a wide range of applications for certain fruit puree products, one of them being avocado puree. Packaged baby food manufacturers are employing purees instead of fruits or vegetables that they mention in the product packaging. Most manufacturers use water or puree as their first product (with maximum share per gram) in their baby food products. Companies such as Plum Organics, Clif Bar & Company, Heinz, Kelloggs, and many more, use purees in their baby food products in large quantities. Most products that are labeled as healthy and whole fruit or vegetable are made from water and purees, with a hint of fruits or vegetables. The sales of ready-to-eat baby food is rising due to the fast-paced lifestyle of parents. People living in urban areas don’t have the time to prepare food at home, and tend to buy baby food products to fulfill the basic food requirements of their infants. Prepared baby foods have a better taste, and thus children also tend to like them, which multiplies the sales of these products and pushes the demand for purees. Fruit juices are commonly prepared from fresh fruits. However, several juice manufacturers have started using purees in fruit juices to give them a smooth blend and enhance the thickness of the smoothie or juice. As puree retains all of the juice and a large amount of the fibrous matter naturally found in the fruit, the demand for puree is increasing in the juice industry. A surge in the use of purees in juices will lead to a corresponding growth in the demand for purees. Such an increase in business will positively influence the puree industry. Many types of purees, such as mango puree, strawberry puree, passion fruit puree, apple puree, and others, are used in producing fruit juices. Many companies in North America and Europe are launching smoothie and juice products prepared from purees in powder form, with added minerals and nutrients. These companies are selling these products directly to their customers. Purees also have various food and beverage applications, which will increase the significance of these products in households. In Asia Pacific, the demand for processed food products is growing with a massive increase in the growth rate. Many processed food products are created from purees, which give an edge to the puree market against fruits. People living in urban areas live a fast-paced life and tend to buy prepared food and beverage products from stores as these are both convenient and time saving. 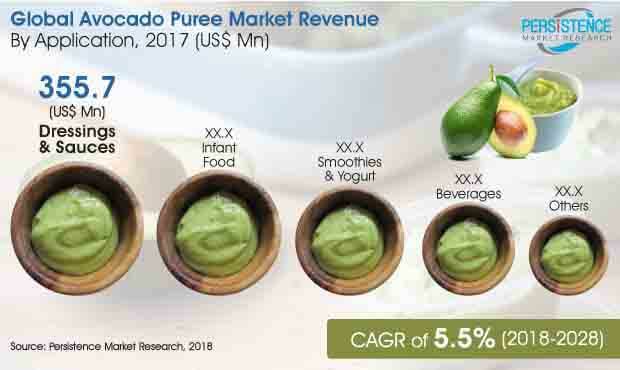 Changing lifestyle of the people is expected to create a strong market for the processed food and beverage industry and is helping the food ingredients market to grow, which includes purees such as avocado puree. The Berry Man (Aus) Pty Ltd.